Classifying deferred compensation as marital or separate property in Tennessee divorce is not a simple matter. In this final segment, we explore the court’s handling of a self-employed spouse’s SEP-IRA. And how income and appreciation on a former spouse’s already-divided deferred compensation plan should be considered for purposes of child support. Lastly, we’ve included a few helpful takeaways for spouses attempting to negotiate division of retirement assets. Deferred Compensation & Divorce: Retirement Accounts and Self-Employed Spouses. How should a spouse’s premarital SEP-IRA be classified in divorce? Another deferred compensation question was posed in 2010. (On the heels of Snodgrass which, as discussed in Part Three, turned property division law on its head regarding premarital retirement accounts.) How should a spouse’s premarital SEP-IRA be classified in divorce? Start again with Part 1. Mr. Ingraham, a self-employed attorney, established a Simplified Employee Pension (SEP) combined with an IRA before getting married. Ingraham v. Ingraham, No. E2010-00101-COA-R3-CV, 2010 WL 5054423 (Tenn. Ct. App. Dec. 8, 2010). The trial court treated his SEP-IRA as marital deferred compensation – that is, a fringe benefit relating to employment. Husband appealed because he wasn’t an employee. Could a SEP-IRA be a “result of employment during the marriage” under the second clause if the account-holder is his own boss? The issue was whether the husband’s SEP-IRA was an employer-contributed-plan properly analyzed under the second clause of T.C.A. § 36-4-121(b)(1)(B) (as with Snodgrass). Or was the SEP-IRA an individually-funded separate premarital asset properly analyzed under the first clause (as with Langschmidt)? Why object to application of the second clause? Following Snodgrass, if a SEP-IRA fell within the second clause, then the entire net increased value accrued during the marriage was divisible marital property – no tracing separate appreciation to any premarital contribution to the plan. 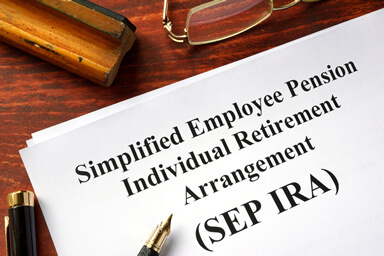 However, if the SEP-IRA was a separate asset within the first clause (following Langschmidt), then income and appreciation remain separate property. The exception being substantial contribution to the preservation and appreciation of the separate asset by both spouses or, alternatively, proof of commingling or transmutation sufficient to transform the SEP-IRA into a marital asset. 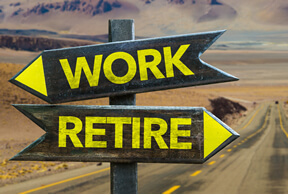 Dividing retirement or other fringe benefits relating to employment in divorce. When classifying premarital deferred compensation and appreciation thereon, Snodgrass is out and Langschmidt is in. 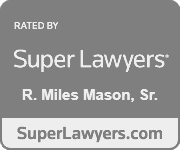 A few years later, another case of appreciation on deferred compensation came before the Court of Appeals. We talked about the Bajestanis’ divorce in our series on double-dipping in child support calculations. Ghorashi-Bajestani v. Bajestani, No. E2013-00161-COA-R3-CV, 2013 WL 5406859 (Tenn. Ct. App. Sept. 24, 2013), appeal denied. You can read more details about this case in Double Dipping in Tennessee Divorce. Double dipping (or double counting) refers to a divided marital asset, a pension for example, being counted again for alimony or child support at its pre-division value. In Bajestani, the appeals court held that when a spouse’s deferred compensation is divided as a marital asset in divorce, the principal amount cannot be included as income for child support purposes. To include it would be a double-dip in violation of T.C.A. § 36-4-121(b)(1)(E). By contrast, any post-divorce appreciation on the deferred benefit should be included as income when calculating child support obligations. What does this mean with regard to T.C.A. § 36-4-121(b)(1)(B)? Under the second clause of the statute, deferred compensation divided as marital property – including any increased value from the time of the marriage – is marital property. Once divided in divorce, any income generated from it is “income” available for child support. The Supreme Court denied appeal. In light of Bajestani, it may be prudent under the circumstances to acknowledge during settlement negotiations how post-divorce appreciation on divided deferred compensation may be included in gross income when calculating child support obligations. 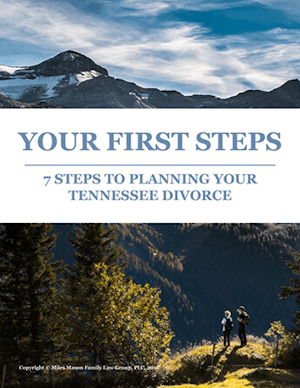 Preparing for division of deferred compensation and retirement assets in Tennessee divorce. First, be analytical, not emotional. Investing and saving for years, dedicating a career to retire with dignity (and debt free – to “[l]ive like no one else now so later you can live like no one else”— as Nashville radio host Dave Ramsey says) only to have that 401(k) sliced in half can be devastating. Protect your legal rights to these assets, marital and separate. Second, define your circumstances. Characterize the deferred compensation plans in each spouse’s portfolio, account by account. Gather evidence to support classification of each fund as marital property or separate property, accordingly, under T.C.A. § 36-4-121(b)(1)(B). Learn how courts have handled the same types of assets under similar and dissimilar circumstances. Third, to ensure the best possible outcome, work toward a negotiated settlement. When disability benefits are more like income and less like property, discuss alimony in futuro, rehabilitative alimony, or transitional alimony. In preparing an Marital Dissolution Agreement (MDA), both spouses should do their level best to reach agreement on how pensions and fringe benefits, IRAs and 401(k)s, stocks and stock options should be classified, divided, and distributed. Be mindful that an agreement to divide marital property “equally” does nothing to classify deferred benefits as marital assets. Fourth, during the marriage segregate separate assets from marital ones. Keep good records. Is either spouse self-employed with an IRA or SEP-IRA? Was a premarital retirement plan transmuted or commingled during the marriage? Track appreciation on each plan, whether a result of market forces or marital contribution. Did both spouses substantially contribute to the preservation and appreciation of one spouse’s separate 401(k)? Determine values on the day of the marriage and time of divorce. When an asset is contested, proof of whether a premarital IRA was funded during the marriage is crucial. Credible testimony is certainly important, but actual records are best. Evidence matters in negotiating an agreement and litigating at trial if there’s an impasse. Fifth, to value appreciation on deferred compensation that was a premarital retirement account or fringe benefit, the expert opinion of a forensic accountant may be necessary for valuation, tracing, and to establish in court that the method used is indeed a reasonable method of accounting under T.C.A. § 36-4-121(b)(1)(B)(iii) as amended. Sixth, never lose sight of the basic truth that the equitable division of deferred compensation or fringe benefit, whatever the form, will have lasting consequences on both spouses. 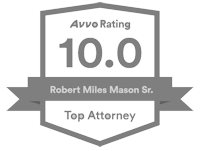 Negotiate a fair outcome without attorney assistance? An imprudent agreement could leave one or both parties with insufficient resources for retirement. That is especially so with a late-in-life divorce where the spouse, if not retired, has already crested his or her highest earning years. Full financial recovery after divorce is not an impossibility. But in the absence of a thoughtful legal strategy going into divorce proceedings, it is certainly a rarity. Talk to your attorney.